THEY’RE exhausted, homesick and desperate for a shower, but Australia’s 3000 pilgrims are ready to heed Pope Francis’ call to get off the couch and “live lives of mercy”. Australia’s Catholics made their voices and flags known among the 356,000 registered WYD pilgrims from 187 countries who gathered in Krakow last week. 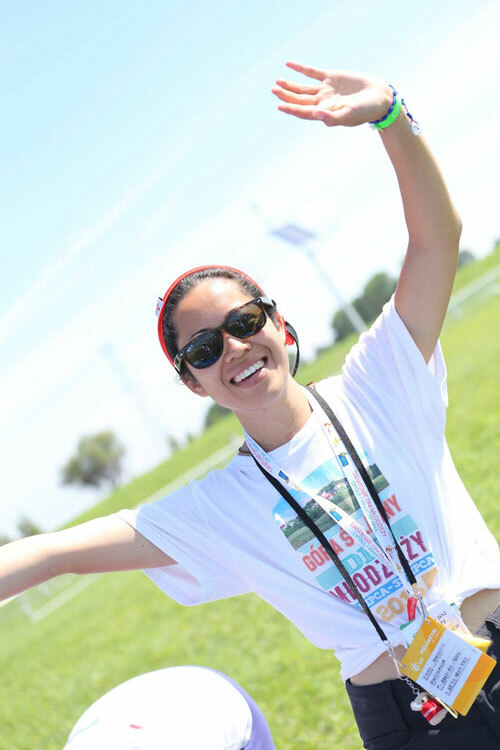 Pilgrims walked more than 100km during the WYD week, held between July 26 and 31, to participate in catechesis, daily Mass, special youth festival events and gatherings, and the final Vigil and Mass with Pope Francis. The final Mass was held 22km from the Australian pilgrims’ accommodation in Krakow. 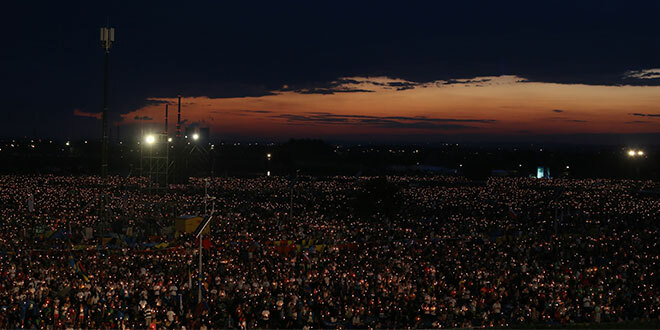 The Holy Father greeted more than 1.5 million registered and unregistered pilgrims at their final gathering at Campus Misericordiae, a site in Poland designed specifically for the WYD Vigil and Mass. Pope Francis thanked the enormous Catholic youth gathering for fulfilling St John Paul II’s dream of bringing young people together for the cause of Christ. During his speech at the Vigil on July 30, Pope Francis responded to a testimony by Rand Mittri, a young Catholic woman from Syria who spoke of the murderous persecution in her country. “Today the war in Syria has caused pain and suffering for so many people, for so many young people like our good friend Rand, who has come here and asked us to pray for her beloved country,” the Pope said. He then told the young people that the way to conquer war was not with hatred but with unity and mercy. “Our response to a world at war has a name: its name is fraternity, its name is brotherhood, its name is communion, its name is family,” the Pope said. He called the young people to a time of silence before warning them against a “kind of paralysis” that confuses happiness with “a good sofa”. Paralysis and a lukewarm attitude towards life was a recurring theme in the Pope’s messages to young people during the WYD. “For many people in fact, it is much easier and better to have drowsy and dull kids who confuse happiness with a sofa,” he said. “That is probably the most harmful and insidious form of paralysis, since little by little, without even realising it, we start to nod off, to grow drowsy and dull. St Vincent de Paul Society Queensland youth worker Ryan Andrews was among several hundreds who were given an opportunity for a front-row pew when the Holy Father admonished couch potatoes. Mr Andrews said spending time in prayer so close to Pope Francis was “incredible”. “It was an amazing energy, atmosphere to know that behind me there were a couple of million people with the Pope and how he challenged the people to not be couch potatoes, to get off the couch, put on shoes and to walk into the world as missionaries,” he said. Mr Andrews was joined by Alice Springs pilgrim Olivia Rose who travelled with the Darwin, Brisbane and Rockhampton Catholics. The 31st WYD in Krakow coincided with the extraordinary jubilee Year of Mercy, taking its theme from the Gospel of Matthew 5:5. Krakow is often considered the city of mercy as it is the home of St Faustina Kowalska, who had a vision of the Divine Mercy, and St John Paul II, who made the devotion an official feast in the Church. Nundah parishioner Joans Thetadig said she was impacted most by the witness of the Polish people at the Jasna Góra monastery Czestochowa’s deep Catholic faith, in particular their daily devotion to Our Lady. “Every single night, 365 days a year, they all sing our Lady to sleep, our Lady goodnight,” Ms Thetadig said. “And just masses of people, and this is not a special occasion, not a feast day or anything. “Every morning they’ll sing her awake. Polish episcopate spokesperson Fr Pawel Rytel-Adrianik told the Polish Press Agency that the Krakow WYD “went beyond all expectations”. “It took place in a family atmosphere; in fact, one could say it was somewhat like when a father speaks to his children,” Fr Rytel-Adrianik said. Pope Francis announced the next WYD would be held in Panama in 2019. Numerous Australian groups travelled throughout Europe for a post-WYD retreat while others stayed in Poland to complete their pilgrimage journey. They are set to return to Australia with stories of their pilgrimage in the coming weeks.